Farmers Cooperative offers different finance alternatives to provide you the convenience of paying your bills at a later date. This account bills on the 25th of the month, with the balance due by the 10th of the following month. Any amounts paid after the 10th incur a finance charge. Apply today as an Individual, Sole Proprietor, or Commercial Entity by completing the Credit Applications below and returning it to the nearest store. Farmers Cooperative has teamed up with CFA to offer quick access to funds, competitive rates, and simple application process for your crop input needs. 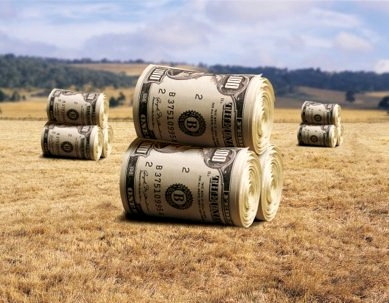 Save time and money with their crop input financing program. Apply today by visiting with our Agronomy Specialists, or call (479) 474-6622 and talk to Steven Keady to get a credit application. Farmers Cooperative has partnered up with John Deere Financial to offer special terms financing on seed and crop protection, along with participating in their regular finance programs that have been in place for a number of years. Call the general office at (479) 474-6622 and talk to Steven Keady about the many benefits of applying today.